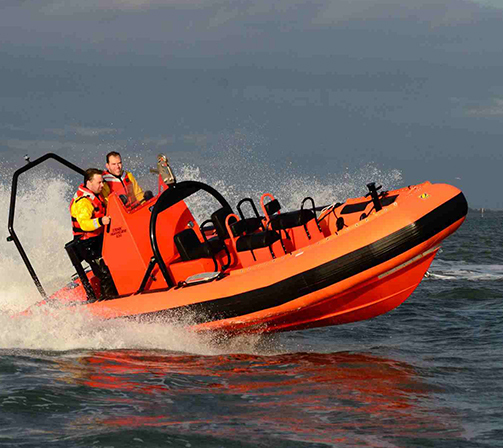 Cox Powertrain, the British company behind the development of the world’s highest power density diesel outboard engine, the CXO300, has announced De Wolf Maritime Safety as its distributor for the Netherlands and Belgium. The announcement took place during last week’s METSTRADE where the two companies came together for the first time as manufacturer and distributor. As a supplier of outboard engines and boats to commercial, rescue, and superyacht vessels, De Wolf Maritime Safety has many years of experience of working with professional maritime applications and provides a dependable servicing and maintenance programme to its customers. De Wolf Maritime Safety’s joint owner and Technical Director, Piet de Wolf said, “We are very happy to become the official distributor of Cox Powertrain in the Netherlands and Belgium. Our two companies have been working closely together over the last few years to deliver the first high power outboard diesel engine as a new propulsion standard. The signing of this contract underpins our strong relationship. Over the last year, Cox Powertrain has been consistently increasing its attendance at key maritime trade and consumer exhibitions ahead of the CXO300 launch in 2018. METSTRADE once again proved a highly successful platform for the Cox brand and product awareness.